The erratic power supply system in Nigeria has left many Nigerians relying heavily on alternative means of electricity with most opting for generating sets to enable them to go about their daily activities. However, the climbing prices of petrol, one of the fuel sources, and the high cost of diesel generators mean that many would have to break the bank to maintain and run their generators. This was the situation until the option of using cooking gas as a source of fuel was introduced years ago. 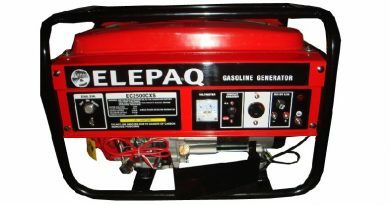 Believe it or not, your generator can run on cooking gas and will operate just as it would if it were running on petrol. This option is more economical and has many advantages compared to generators that use petrol as a source of fuel. In this article, I’ll review gas generators in Nigeria and you’ll find information on how gas generators operate and how to convert your present generator to a gas and fuel generator. What Are Gas Powered Generators? Gas Vs Petrol Generators Comparison — Which is More Economical? Gas generators are generators which use liquefied petroleum gas (LPG) or compressed natural gas (CNG) as a source of fuel. LPG and CNG are the same gases that are used in your cooking units and they would be converted to a fuel source for your generator without you having to purchase another generator if you already have one. Gas Generators have the same components and parts as gasoline (petrol). In fact, the only part of the generator that converts it to a gas generator is the carburetor. Gas generators use a dual fuel carburetor that allows you to use LPG (Propane or cooking gas) and petrol as your source of fuel. They also use a tri-fuel carburetor that allows you to use three types of fuel namely petrol, LPG and CNG to run your generator. Not at the same time, though. To convert your gasoline (petrol) generator to a gas generator you need to purchase either a dual or a tri-fuel carburetor. Also, a gas cylinder would be attached to it. The gas cylinder will contain the LPG or CNG that would be passed into the generator. To use cooking gas as a fuel, simply close the fuel tap of the generator and open the regulator to allow propane to spread into the carburetor. You don’t have to re-engineer or dismantle your entire generator to fix in the dual fuel/gas carburetors. Simply remove your old (gasoline) carburetor and replace it with the dual fuel/gas carburetor. Then, connect the free end of the regulator hose to the dual fuel/gas carburetor. It is however advised to get a skilled person to do this rather than become your own handyman. This would prevent the incident of leakages, and the skilled person would enlighten you on any necessary information you need to know when operating your gas generator. Dual fuel/gas carburetors are the main devices that turn your gasoline generator to a gas generator; this has already been established. It’s important you know the prices of these carburetors and where to purchase them in Nigeria. 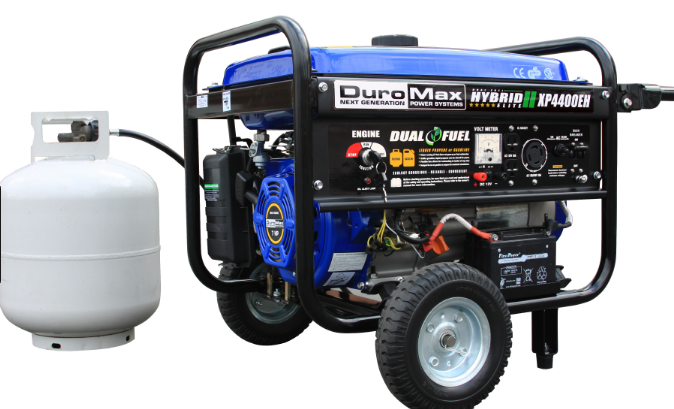 Dual Fuel/Gas Carburetors are quite expensive and should cost about N15,000 to N35,000, depending on the power rating (KVA) of your generator. You would also need to purchase a gas cylinder, regulator hose, and clips if you don’t have them. Note: Dual Fuel/Gas Carburetors are not compatible with small generators with power capacities below 1KVA and above 10KVA. You can buy dual fuel/gas carburetors from any generator market or any generator spare part market near you. You might also require a skilled person to fix the carburetor into the generator for you which would add to your expenses. You can buy dual fuel/gas carburetors from e-commerce sites like Jumia, Konga, and Kara. You can also buy used dual fuel/gas carburetors from Olx and Jiji. Compared to gasoline generators, gas generators are quite safe as they do not produce deadly carbon monoxide just like gasoline generators. However, you can’t run a gas generator in an enclosed space as a gas leakage could lead to an explosion. LPG or propane gas is cleaner than gasoline as it burns completely and leaves no residue compared to petrol which leaves carbon residue thereby contaminating the engine oil and staining the spark plug and piston. Natural Gas, on the other hand, does not contain any toxic ingredients and is relatively harmless. This is a great advantage over gasoline generators that produce carbon monoxide, which is very harmful and deadly when inhaled. When opting for a gas generator, you would have to purchase a dual fuel/gas carburetor, gas cylinder, regulator hose, and clips. These are added costs compared to fuel generators where you simply purchase the generator and nothing more. However, these are one-time costs and they last for years, which means you wouldn’t be replacing them anytime soon. 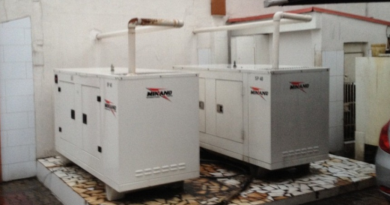 When it comes to fuel usage, it would depend on the load and power rating (KVA) of your generator. But it is estimated that a 12.5kg cylinder on a 2.5KVA generator would generate electricity for 40-50 hours. 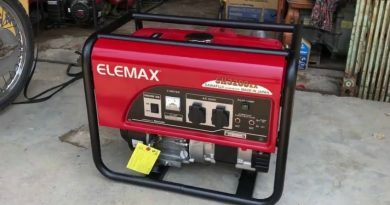 For the gasoline generator option, a litre of fuel goes for N145 and to generate electricity for 40-50 hours, you need to purchase about 35-40 litres of fuel which will cost you N5,075 – N5800. Comparing this with a 12.5kg cylinder, the cost of refilling the cylinder should be around N4,300 (it would be lower depending on your location). Based on this calculation, we can say that you save about N705 – N1,805 when you choose the gas generator option making them a more economical choice. Gas generators are considered an economical option of fuel to their gasoline counterparts. Although, they are still not well-known by many Nigerians who, out of fear or ignorance, choose to stick with their gasoline generators. It is important to note that gas generators are relatively safer to run, but you would still need to apply the same precautions as if you were using a gasoline generator to prevent accidents and mistakes.